Since a couple of months I have the Severne Overdrive R4, it was not really my idea to get one, but the dutch importer recommended me to try the sail. 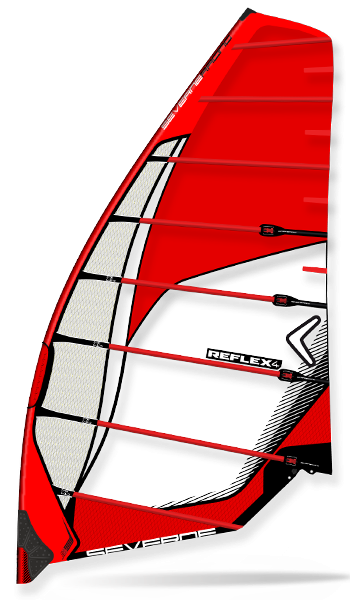 I am very happy with the Reflex performance, a happy user of the Reflex I, Reflex II, Reflex III and now the Reflex 4! Now having used the both the Reflex and Overdrive sail I have got emails/phonecalls about details... differences... Since more than a few of windsurfers are interested in the differences I made a little blog about my experience. Rigging: How fast is it onshore? I can't say there is a big difference in rigging. It is different, but hard to point out which one is easier? The Overdrive has rollercambers which makes it less sensitive for camber/batten pressure and rotation performance. The Reflex has 1 more camber. I think the reflex is rigged a bit faster by me, but just because I am used to it. Tuning: Do you need a guide? Durability: Which one will last longer? This is difficult, since I have the sails only for a short period. My experience is the reflex can do at least 50 sessions without any loss of performance, the overdrive has yet to prove itself for me. When using it normal the sails are good for many years for a weekendracer. The overdrive is lighter and the reflex seems to have a bit more expensive materials. My feeling the Reflex will last a bit longer, but not by a big difference because the construction method is almost equal. Reflex is faster when you are willing to sail powerfull and know what to do without feedback of the sail, the difference is estimated <1km/h up till +- 80km/h boardspeed. 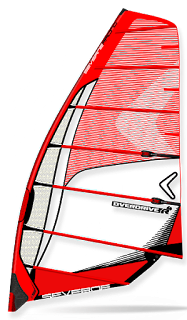 I believe the Overdrive is faster when you don't have the big muscles and don't know exactly how to push the sail in the right angle at any time. For me it took a few good hours to tune the Reflex, and a few minutes for the Overdrive. nice and informatie information about the surfing. keep up the information.